Relevant Communications / Posts tagged "Christine Argillet"
As a child, she was introduced to famous artists like Pablo Picasso and Salvador Dali through her father, Pierre Argillet, legendary publisher of Dada and Surrealist work. 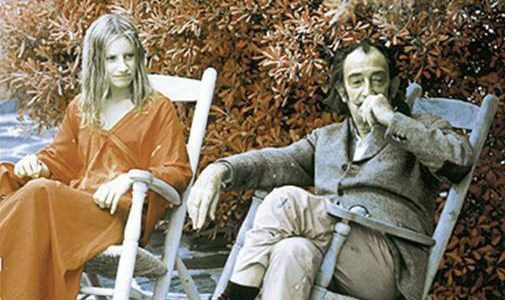 Her father and Dali collaborated for over three decades. Madame Argillet continues that work by curating exhibits from her father’s impressive collection of Dali art to museums and art galleries all over the world. This month, that includes a showing at Onessimo Fine Art gallery in Palm Beach Gardens, the first time Dali’s art has come to the Palm Beaches. In this interview, Dia Ryan interviews Madame Christine Argillet, daughter of Salvador Dali’s publisher and confidante Pierre Argillet as well as Debra Onessimo, the owner of Onessimo Fine Art , the gorgeous gallery presenting “Salvador Dali: The Argillet Collection”. It is extremely important to know that Madame Christine Argillet, who was Salvador Dali’s friend, confidante, and curator of “Dali: The Argillet Collection” will accompany a rare Dali Collection on a limited tour, which will make a stop in Palm Beach Gardens at Onessimo on PGA Boulevard. Details are below, this is a rare opportunity to see some of Dali’s works that were not as publicized as some of his other works of art.